Michelle Ross is the author of There’s So Much They Haven’t Told You, which won the 2016 Moon City Press Short Fiction Award (MCP 2017). 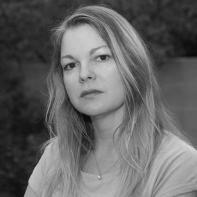 Her work has recently appeared in Cream City Review, The Forge, Monkeybicycle, TriQuarterly, and other venues. She is fiction editor of Atticus Review and a consulting editor for the 2018 Best Small Fictions anthology. She lives in Tucson, Arizona. "Counterbalances" is a collaborative work with Kim Magowan.